What does this mean? What's happening? Are you closing? What about classes? When will this happen? Why is this happening? Read on to find out all these answers and more! First and foremost, we are NOT closing International Sugar Art Collection! We WILL still offer Nicholas Lodge classes at our famous classroom in Norcross, GA.
*Just like many other small businesses, we are just not able to compete with Walmart, Michaels or even Amazon. So many in the decorating community have to shop these places because they have no retail store near them. Understandable of course. Like everyone, even Chef Nicholas shops at those places for their variety, their prices and for their convenience. That PRIME shipping....man, that's good stuff! *Frankly, our foot traffic is just not what it used to be, so we have found that we have excess inventory. In order to bring in new products, we need to sell what we have first. Lucky you!! *We will be transitioning to an online only retail store by the end of May. You will still be able to place orders online and have them shipped. If you are local, you can place your order online or over the phone, and arrange to pick it up. Some items will no longer be available. Items like: Boxes & Boards, Chocolate & Sprinkles, but it is all to make room for new things. *Chef Nicholas Lodge will still be teaching! He will still be creating new molds and cutters and he will of course still be attending shows! AND WE CAN'T WAIT FOR 25 MORE! HEY...remember when I said Lucky You? You are now able to receive that same 50% off* sale that the Spring Open House attendees were offered! You can find all the items that qualify for the discount in the DISCONTINUED section on our website. The online shop will automatically apply your discount at checkout. You will get 50% off* the listed price for any item purchased in the DISCONTINUED section on our website. How awesome! That's a better deal than Amazon for sure! *While supplies last. No substitutions or exchanges. No refunds or returns on discontinued merchandise. We reserve the right to make changes to discontinued/sale merchandise at any time. Click on either of the links above or the NL Emblem below to start saving today! 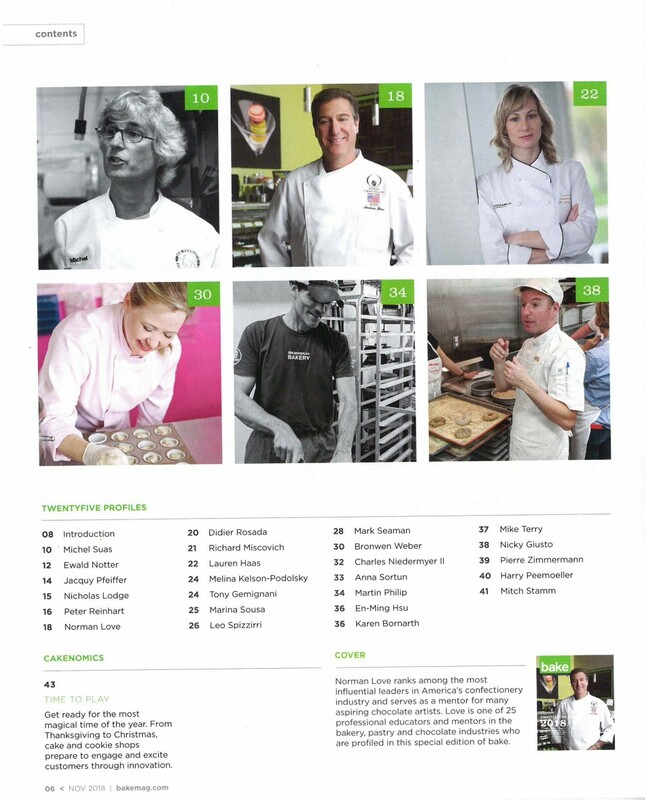 Chef Nicholas received an early Christmas present late last week- he was honored by Bake Magazine! 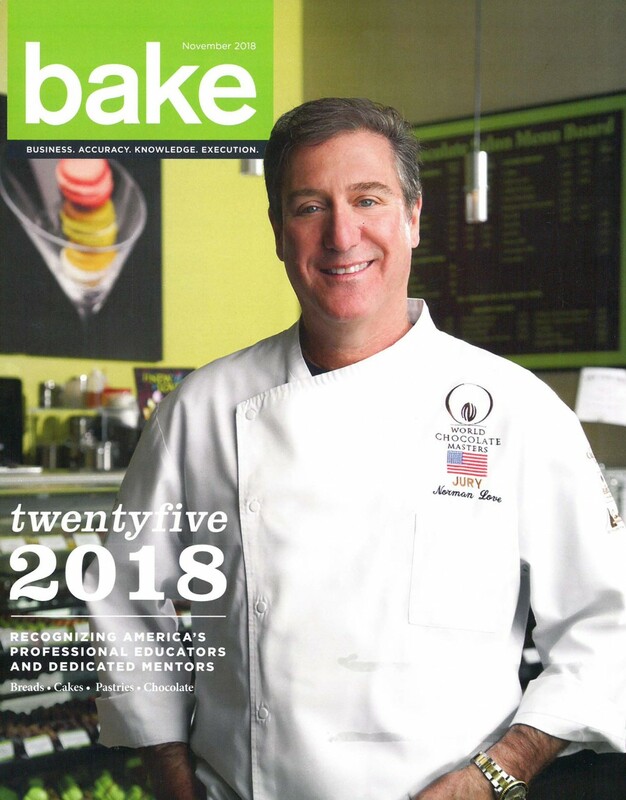 In their annual Twentyfive special edition magazine this year, they decided to honor the top 25 educators and mentors in the fields of baking, pastry, and chocolate. Many names on the list were familiar (Norman Love, Jacquy Pfeiffer, Marina Sousa, Mark Seaman, Bronwynn Weber), but the most familiar name was NICHOLAS LODGE! Yay! 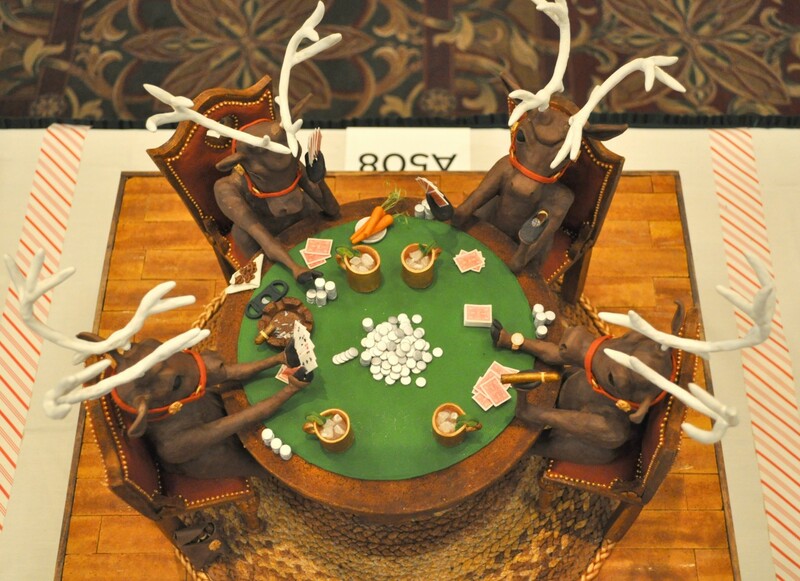 It has been another fabulous year at Nicholas Lodge's International Sugar Art Collection! Thanks to each and every one of you out there: students, clients, fans, shoppers, friends, and family. 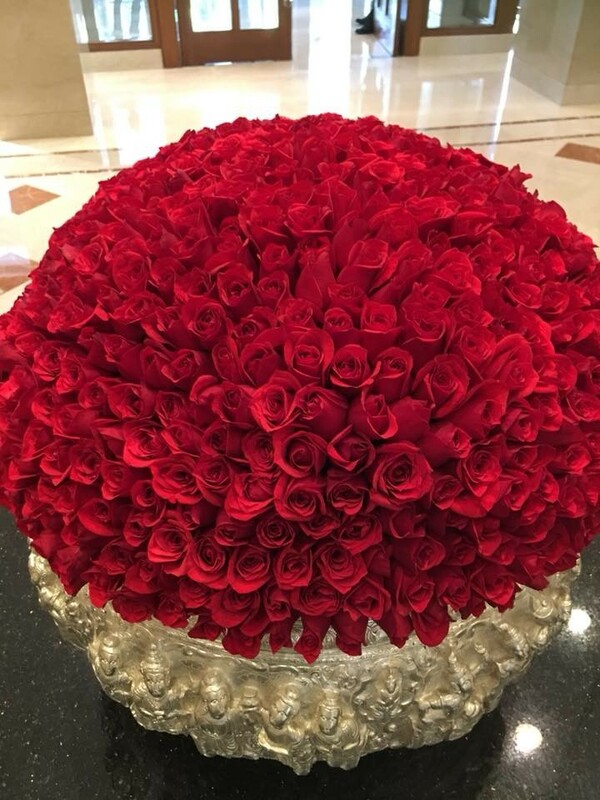 You are the reason we are here, and why Chef Nicholas travels the world sharing his sugary talents. Chef Nicholas, Scott, Ann, Molly, Jan, Carol, and I send all of our warmest wishes for a happy holiday season and a happy and healthy new year. We look forward to seeing you in a class next year at ISAC (you can find our 2019 calendar by clicking here), or at one of the many cake shows throughout the USA and the world that Chef Nicholas will be attending. Chef Nicholas isn't the only talent in house... our resident photographer and videographer, Scott, has created a holiday video that will leave you feeling merry and bright! Enjoy by clicking the image below. Enjoy the holidays with your loved ones, and we hope to see you in the new year! Our goal is for you to be completely satisfied with your Amazon order! If for any reason this is not the case, we would appreciate it if you would give us a chance to address your concerns, before leaving feedback or a review, by emailing us at customersvc@nicholaslodge.com. We would be grateful if you would leave us a positive feedback and review of your Renshaw Fondant. Leaving feedback seems like such a little thing, but it has great impact on our business and we would greatly appreciate your time in leaving it. ISAC is excited to tell everyone that Chef Nicholas' 2019 class schedule is now online! Chef Nicholas already has some great classes on tap, as well traveling to a bunch of different states! We even already have a class scheduled in Studio B! Chef Joseph Cumm is returning to Studio B next month! Yay! Everyone loves when Chef Joseph comes to town. This time, I know, will be no exception. 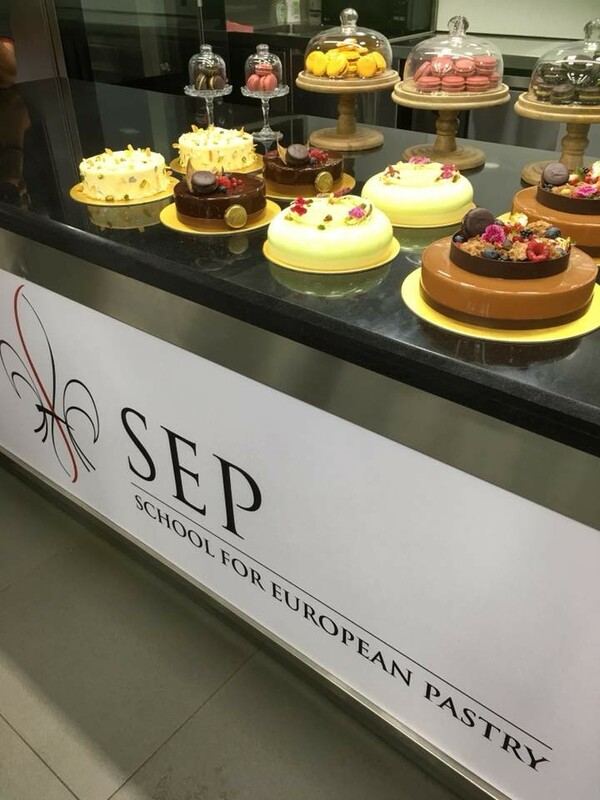 This two-day class offers quite a bit, not in the least how to make a mini chocolate SHOWPIECE!!! Day one will include learning about couverture chocolate, the process of tempering chocolate, making ganache, and making modeling chocolate. 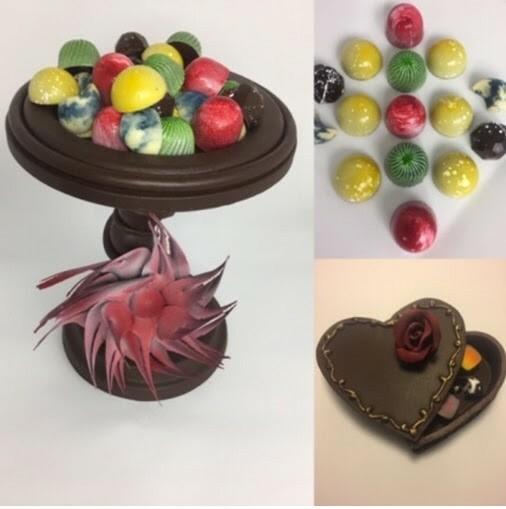 Students will begin construction of their bonbons and truffles as well as their tempered chocolate flower, mini-showpiece, and chocolate heart gift box. Yeah, that's just day one! On day two, students will finish their confections, assemble and put the finishing touches on all of their products as well as do some taste testing! There will also be some time to take some photos of your masterpieces! 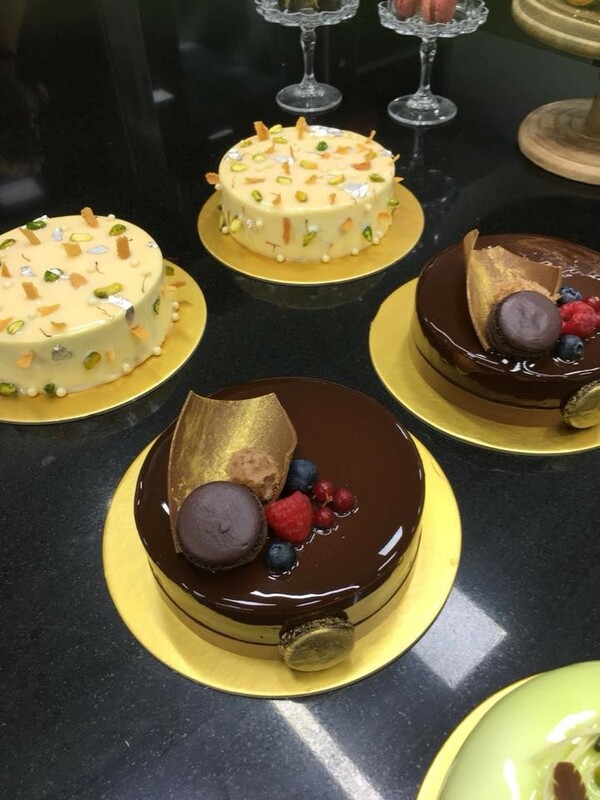 So, if you are interested in signing up for one of Chef Nicholas' classes (at ISAC or on the road), learning about the cake shows he will be attending, or signing up for Chef Joseph Cumm's class, please just visit our website: www.nicholaslodge,com/classes. We hope to see all of you throughout 2019! What is on your Wishlist?! Christmas is just a few weeks away, and you need to make your ISAC Wishlist! A few weeks ago we had our Grand Holiday Open House, and now is a perfect time to make your list and send it to your favorite secret santa. Our wishlist is a great feature (no matter the time of year), and I like to give everyone a refresher on how this amazing feature works on our amazing website. You can send the list to someone who may need help giving you a gift, or you can search for a friend's wishlist to surprise them with a gift, or use it to save items you'd like to purchase later. The ISAC wishlist is very easy to use, and I am going to show you how! So... who's ready to make some wishes?! First of all, you need to go to our website; if you are reading this blog, chances are you are on our website right this very moment! Just in case, it is www.nicholaslodge.com. Click on the shop button, and then once the shop page opens, you will click on Wishlist at the top. It is that time of year again, folks. 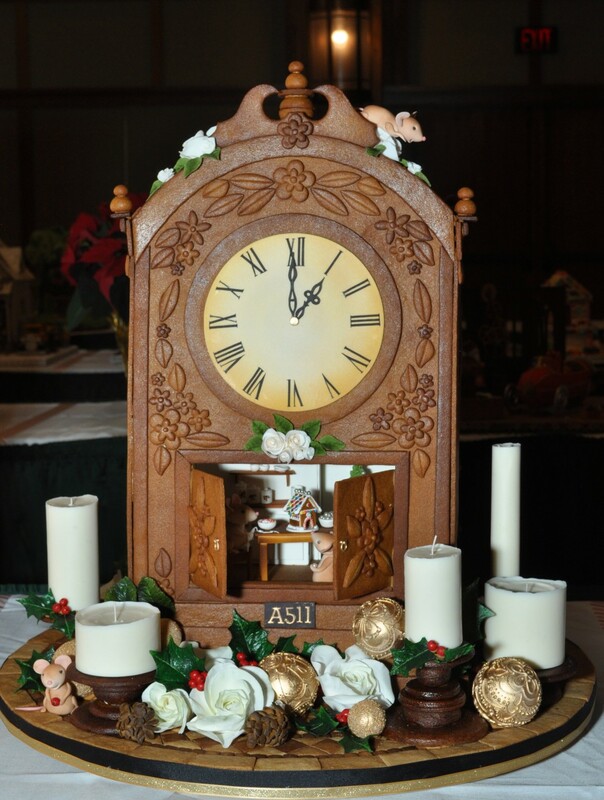 The National Gingerbread House Gingerbread Competition at the Omni Grove Park Inn was held last week, and that perennial staple, Head Judge Chef Nicholas Lodge was there presiding over all the pomp and circumstance. And this year television crews from both FoodNetwork and NBC were there filming all the delicious action. As always, we wanted to share all of the amazing gingerbread creations and the winners from all the different categories. Sadly, with all of the network and cable TV crews there, Scott was limited as to what he could capture with his magic camera. So, I give you the top three from the professional category below. However, I do bring good tidings as well! 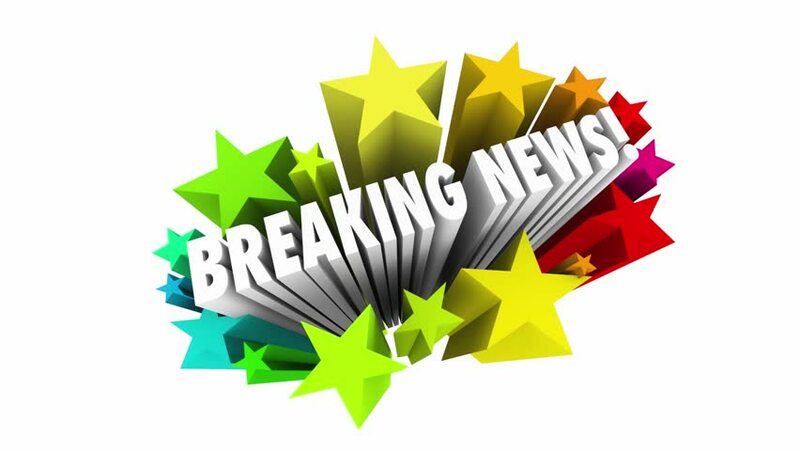 FoodNetwork will be airing their episode, Gingerbread Giants 2, four different times over the holidays! Um, yay! 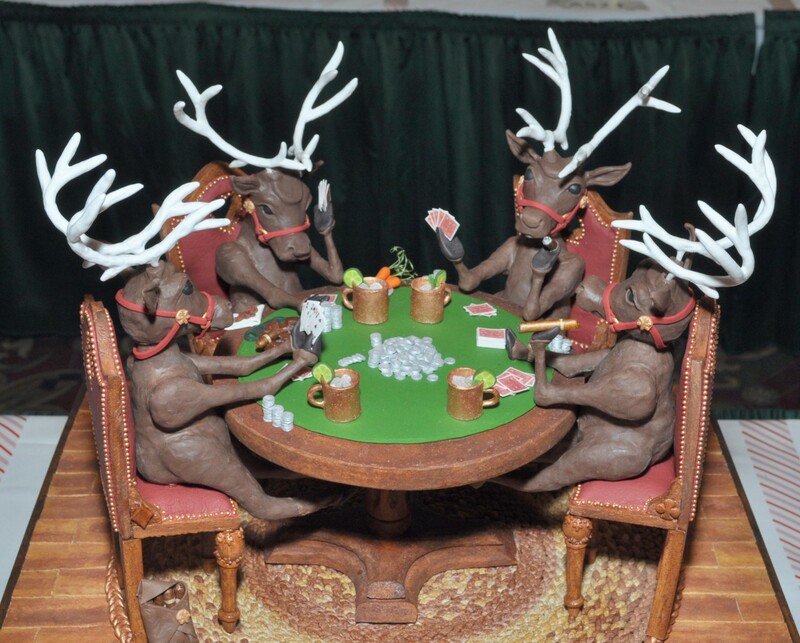 Now, without further ado, the top three winners of the 2019 National Gingerbread House Competition at the Omni Grove Park Inn! Scott has assured me that while a picture is worth a thousand words, no photos could do these three gingerbread "houses" proper justice. They are just too spectacular to allow a camera to catch every intricate and edible detail on each of these three winning entries. You're in luck because Scott was able to take a brief video of the winning design! Click here for the video! 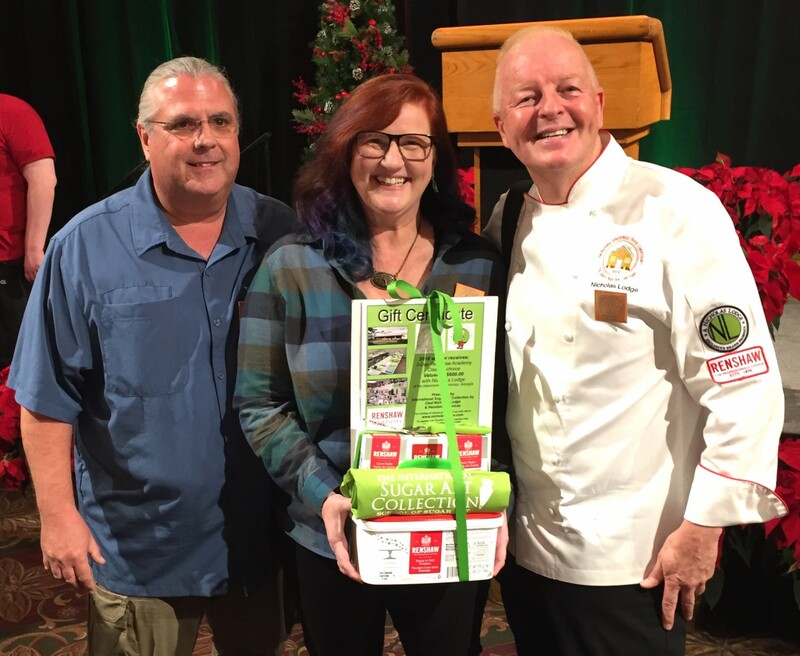 Don't forget to tune into FoodNetwork in December to see all the entries and footage of the three winners! 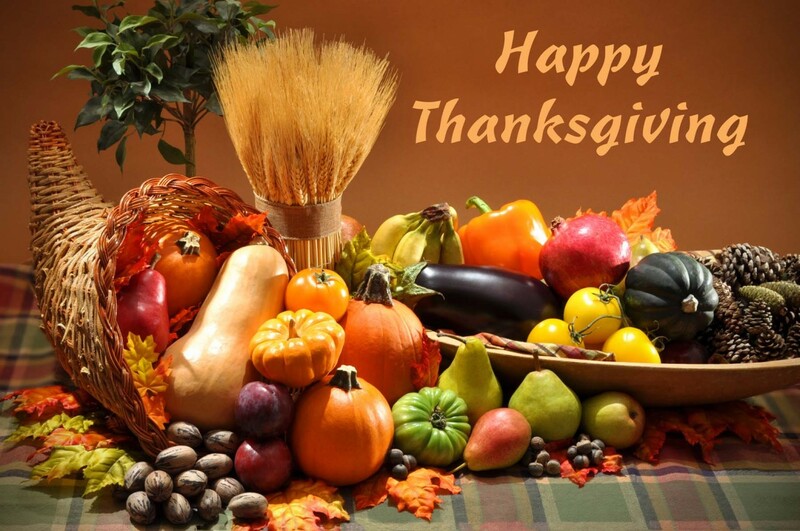 Wishin you and yours a happy, healthy, and safe Thanksgiving Holiday! More Flower Pro? Yes, Please! 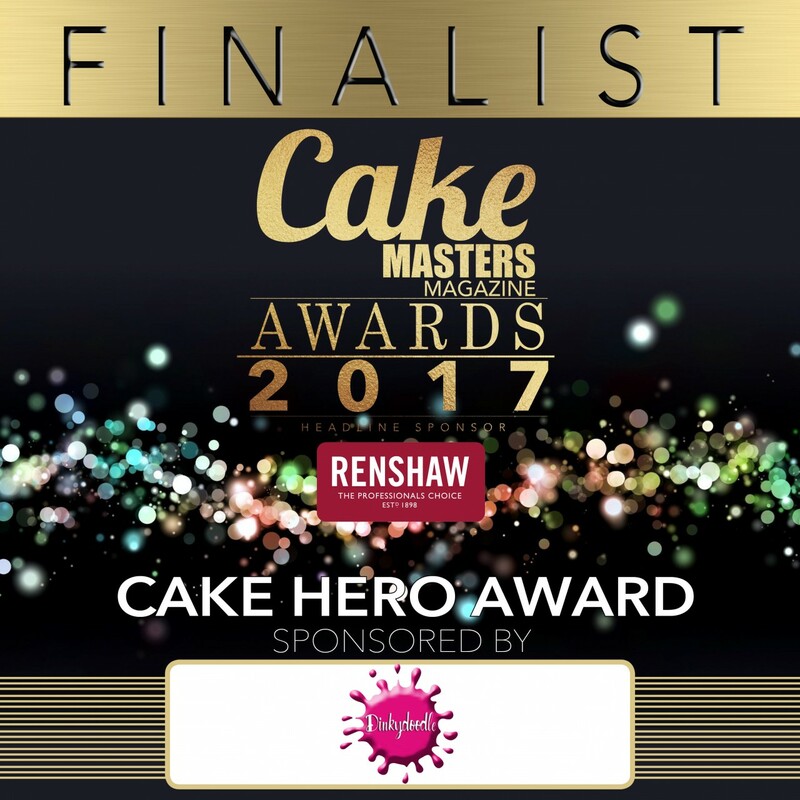 Last week Chef Nicholas winning the Cake Hero Award had to be celebrated. But there was more to celebrate last week- brand new Nicholas Lodge products by Katy Sue Designs were released! 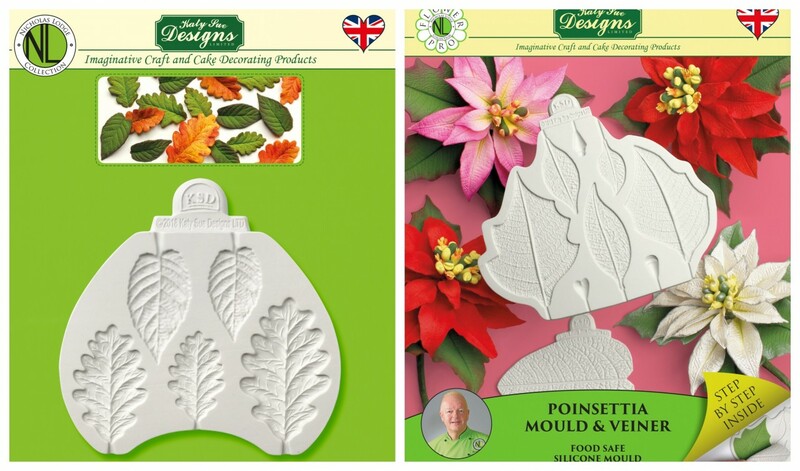 First is a new product in the Nicholas Lodge Collection by Katy Sue Designs- the Blackberry and Oak Leaves mold, and second the Flower Pro Poinsettia mold and veiner! The timing is obviously perfect to make some golden autumn oak leaves, and with Thanksgiving one week away, Poinsettias and the Christmas season are a blink away! 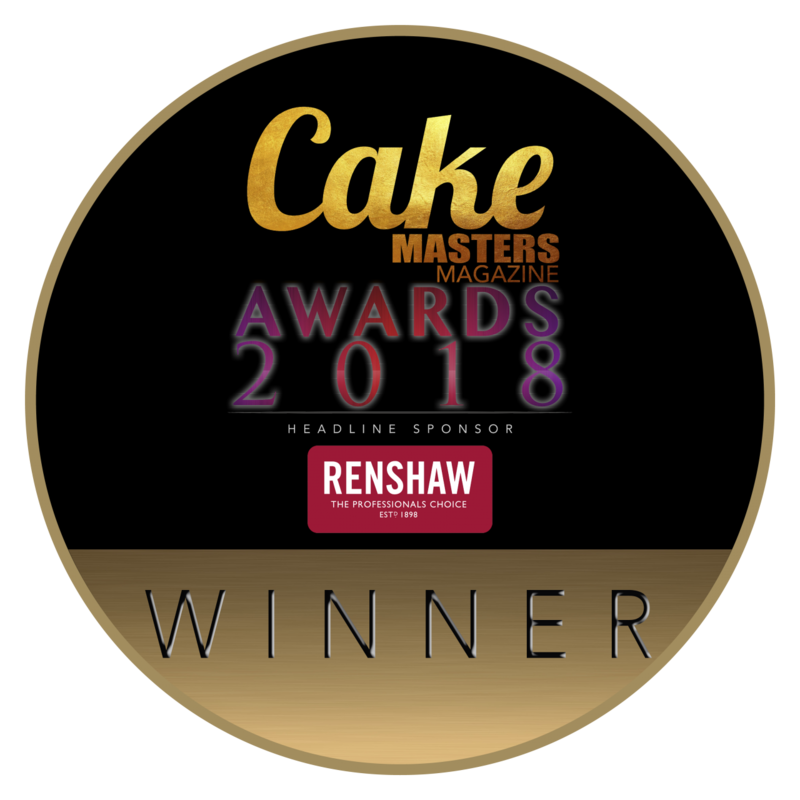 The last few years, Cake Masters has hosted the Cake Masters Awards. For the last few years I have worked (with help from all of you!) 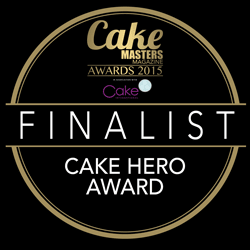 to get Chef Nicholas nominated for the Cake Hero award. Sadly, the last two years, Chef Nicholas was passed over for the honor. Something I could not fathom, given Chef Nicholas history and prestige in this field. This year, Chef Nicholas and I did not mount a great campaign to get nominated. 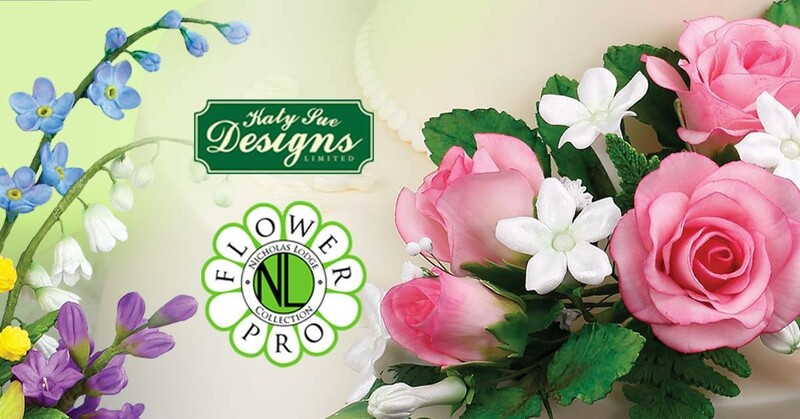 He has been extremely busy with travel and promoting the new Flower Pro Line with Katy Sue Designs. I was very happy to see that Chef Nicholas was nominated even though we didn't pursue it this year. 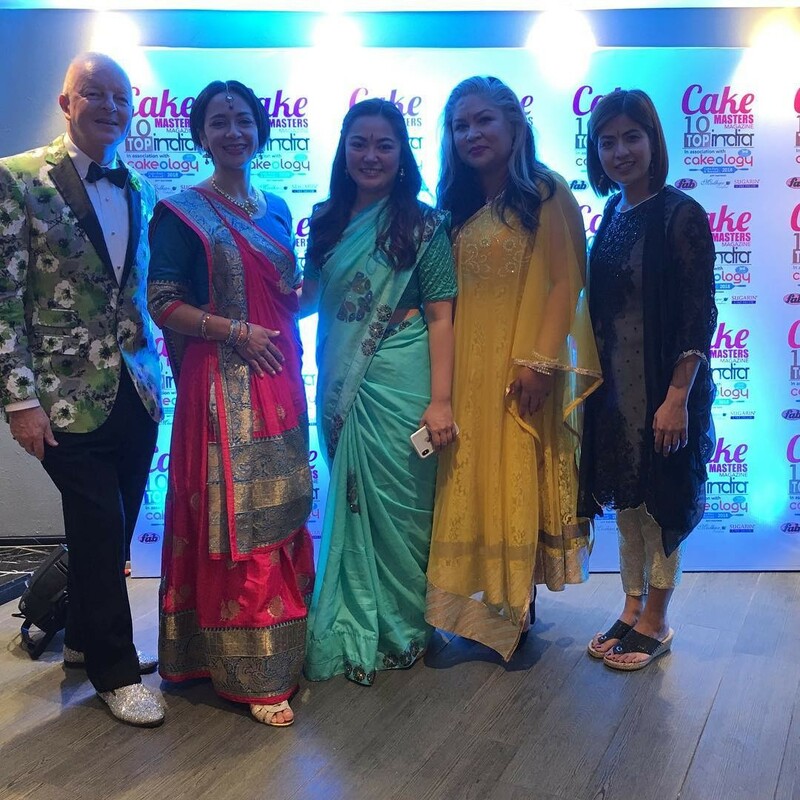 Well, this past Saturday was the 2018 Cake Master Awards... AND GUESS WHAT?! Grand Holiday Open House 2018! Today is November 1, 2018. That means that our annual Grand Holiday Open House is just 17 days away! EEEK! 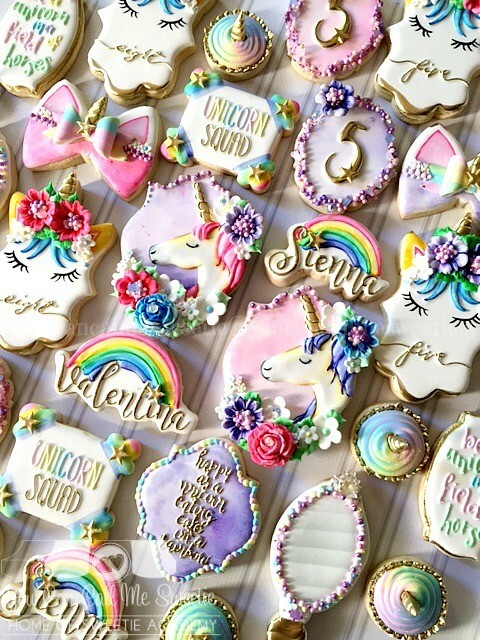 I thought I would do a quick post this week, giving you all the nitty gritty (or should I say sugary sweet) details on our event this year! First of all, you need to know the dates, right? This year, ISAC's Grand Holiday Open House is on the weekend of November 17-18. As in years past, there will be several sessions over Saturday and Sunday. There will be three sessions on Saturday, and one session on Sunday; Saturday sessions will be held at 9am (sold out), 12pm, and 3pm, the Sunday session will begin at 9am. Each session is three and a half hours long, and each session will present the EXACT same demonstrations. Besides the 9am session on Saturday November 17, there are still some seats available in each of the other sessions. There is a $15.00 fee to register, and once you check in the day of the open house, you will receive a $5.00 to be used on any purchase at ISAC on the same day! Yay! As always, please remember that due to some demonstrations using hot sugar mixtures, extremely hot equipment, large crowds, and for the safety, comfort and enjoyment for everyone, we ask that small children and babies in strollers not attend the open house. We thank you sincerely for your understanding. I know you are all dying to know what new tricks and tips and mind blowing ideas Chef Nicholas Lodge is planning on sharing with you all this year. He never fails to pull out ALL of the stops with his demos. Sadly, just like I have to tell you every year, Chef Nicholas doesn't even tell us, his own ISAC family, what he is planning until the last minute. Sometimes I have an inkling on what he might be doing. Sometimes Molly catches a glimpse of what he is working on, or perhaps he asks Ann to prepare paste in a specific color that gives us a clue. But this year he has been traveling so frequently, that I have absolutely no idea what he is planning to dazzle you all with this year. 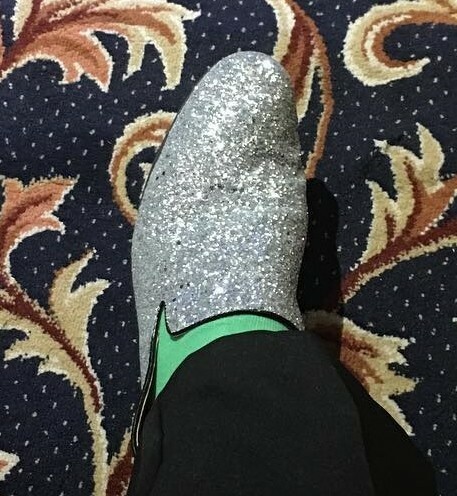 Of course, that means when he starts his magic, I will be there oohing and ahhing along with all of you! I am pretty excited! To sign up for our Grand Holiday Open house, click on the following links; choose the date and time that works for you! If are interested in being added to the wait list for the 9am Saturday 11/17 Open House session, please call the store at 1-800-662-8925. Alternatively, if you have already registered, and know you will not be able to make it to any of the sessions, please call us and cancel your seat, many people would love to attend if you cannot not! Thanks! Sunday 9am- 12:30pm Grand Holiday Open House Session. There are still seats available in these great classes this summer at ISAC! Click the links below to register now. Is it time for Pie yet?! After my blog last week my husband and son went out and picked some apples from North Georgia. They brought home several varieties and we turned them into a delicious apple crisp (my apple crisp recipe that isn't even an apple crisp!). I was enjoying it hot and bubbling out of the oven, and thinking about how much I love fall desserts, and that I was looking forward to Thanksgiving dinner with all the yummy desserts. THEN I thought, hey! A few years ago I did a series on Christmas cookies, why the heck not do a series on Thanksgiving desserts. Buckle up people, we're talking about that nutty favorite: Pecan Pie! I love pecans. LOVE THEM. My father-in-law has several pecan trees in his yard. So we have an endless supply of fresh pecans. Yay! I love eating pie, but I am not a pie baker (LOVE me some cakes, and I can bake cakes like nobody's business). Nope, I tried making apple pie once, and it was a disaster. I also cannot make mashed potatoes, but otherwise I'm a fairly good cook. But, I digress. Back to pecan pie. I have not even attempted to make pecan pie. Let's take a look at the history of pecan pie, and figure out how it made its way to our Thanksgiving dessert tables. Many people know that our current traditional Thanksgiving meal doesn't resemble the first Thanksgiving meal back in 1621, so it should come as no surprise to find out that pecan pie was NOT on the menu 397 years ago. When did pecan pie burst onto the scene? Well, it's really not clear based on historical evidence. If we start with the humble pecan. If we step out of the kitchen and into the field, we find out that archaeologist had discovered that Native Americans were using pecans 8,000 years ago. Even the word pecan is of Native American origin (thank you to the Algonquin tribe for the name!). If pecans have been used for this incredible length of time, then surely pecan pie must have a long and storied history, right? That would be a hard- nope. "Is not only delicious, but is capable of being made a 'real state pie,' as an enthusiastic admirer said. The pecans must be very carefully hulled, and the meat thoroughly freed from any bark or husk. When ready, throw the nuts into boiling milk, and let them boil while you are preparing a rich custard. Have your pie plates lined with a good pastry, and when the custard is ready, strain the milk from the nuts and add them to the custard. A meringue may be added, if liked, but very careful baking is necessary." Not quite a fully formed recipe, but there it is! While there is no hard evidence for pecan pie earlier than this, there are claims that pecan based desserts and candies were created by the French after the settled the area around New Orleans, Louisiana (early in the 1700s). While the French settlers may have invented the sweet pecan dessert, there is just no proof. It seems that most modern food historians believe that pecan pie is a 20th century invention, and that it is deeply entrenched in southern traditional cooking. After some recipes published in the late 1800s, the next boom for pecan pie was in the 1940s when recipes appeared in Fannie Farmer and The Joy of Cooking. Many people associate pecan pie with the Karo Corn Syrup brand. It is true that Karo really popularized the pecan pie as we know it today (as well as many of its variants), and it claims that pecan pie was a discovery of a new use for corn syrup in 1930. However, the recipes for pecan pie before this do not include corn syrup! So there are plenty of recipes for pecan pie without the corn syrup. In fact, I thought it would fun to share one of these recipes! I was hoping to find a fully fleshed out older recipe with actual amounts AND cooking temperature or time. I was able to find plenty of modern recipes, but I was really hoping to find something from the days BEFORE corn syrup. I did hit on a significant clue; the 1929 Congressional Cookbook allegedly includes a recipe for pecan pie using pecans, eggs, sugar, and milk -no syrup. Unfortunately, I could not find the full recipe online, nor a copy of the book. Sad day. The best I could find from the pre-corn syrup days is from one of my favorite sources- The Food Timeline. This fantastic website shared a recipe from 1898. It was originally printed in Ladies Home Journal, but was found reprinted in the Goshen Daily Democrat, on November 26, 1898 (fun fact, I looked it up, this was two days after Thanksgiving that year!). Without further ado, here is the recipe (without out a cooking temperature I'm afraid). I have to admit, I am very intrigued by the idea of a meringue on the top of pecan pie! But wait, I have more to offer you! Many of you know that Scott has a fantastic cookbook (Lunch is Ready! 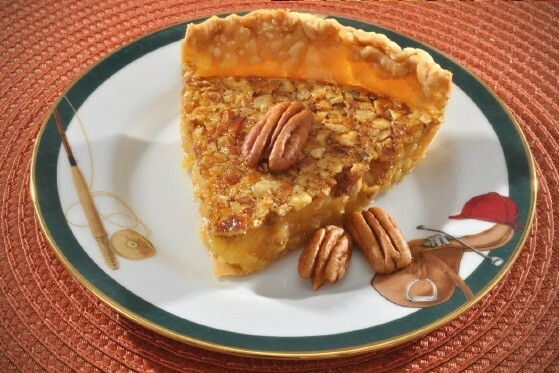 ), and he offers three different pecan pie recipes, including one without corn syrup! YUP! This is a variation on the southern classic. 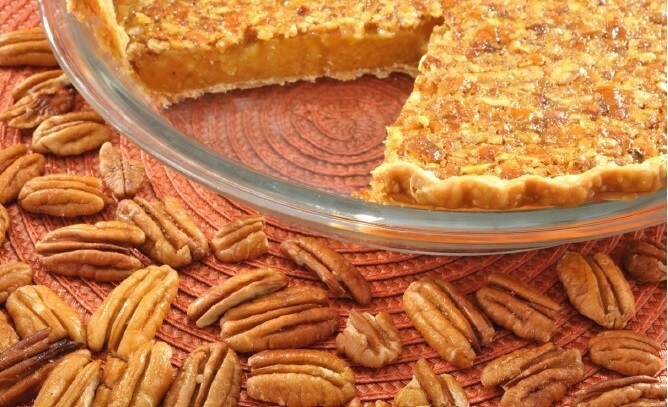 This version is not as sweet as a traditional pecan pie, but is just as good...only different! I hope you give Scott's delicious recipe for yourself! Personally, I have never NOT liked anything Scott has made, so I know you will love this recipe too! Where do you fall on the pecan pie? Like it? Love it? Pass? Next week will I will be sharing another yummy Thanksgiving dessert recipe! Crisp, cobbler, crumble, or buckle? I love the fall. I love fall desserts. I have a recipe for a baked apple dessert, I call it an apple crisp. Every time I make it my husband calls it apple cobbler. Is he right, or am I right? Or are we both wrong... could it be a crumble? And what in the heck is a buckle? I had never even heard of a buckle before researching for this blog, so I am including it! Do you know the differences? I sure didn't, so let's get started learning about yummy desserts. Let's start with the buckle, since it was my first time even hearing about it. So, from what I have gathered it seems that a buckle dessert is a cakey dessert, similar to a coffee cake, made with fruit and a streusel topping. The reason it is called a buckle is due to the way the cake bakes up; while the batter rises, the heavy streusel topping causes the surface of the cake to buckle! Well, that's awfully straight forward, isn't it? Turns out, I have eaten a buckle. Yup, I didn't even realize, because I called it a blueberry coffeecake. If you want to make a delicious fall fruit buckle, try adding fresh apples and caramel to your buckle! Next up, let's talk cobbler. Is my apple dessert a cobbler? This dessert can trace its origins back to the middle of the 1800s. Pies were already a popular dessert, but with the American westward expansion, many pie recipes needed to be modified to be easily baked in Dutch oven pots. Instead of traditional pie crusts, often rough biscuits were baked on top of the fruit, which formed a thick syrup. Many people assume that this dessert is called cobbler because the topping (which can be biscuit dough, batter, or dumplings) resembles the cobblestones people find on an old road. This does seem pretty likely. However, there is also a type of traditional English bread called cob bread. This bread is small and round, it may have been similar to the look of the biscuit on top of the baked cobbler? My husband grew up eating cobbler, and his favorite was a combo of blueberry and peach. Here's a laugh for you, he blended the names of the fruit and called it "bleach" cobbler. Taste great, sounds horrifying! Go get yourselves some fall apples and bake yourself up a cobbler! Which desserts are left to discuss? Crisps and crumbles. These two are not so easily distinguished. Both are baked fruit desserts with streusel toppings, nuts are optional on both crisps and crumbles. Unlike buckles there is no batter and it is not cakey, unlike cobblers, there is no dropped biscuits, dough, or batter on top. If we take a closer look at the streusel ingredients we will find the difference. In a crisp, the streusel topping contains oats; as the crisp bakes in the oven the oats crisp up. A crumble simple leaves out the oats. As this is a very minor difference, it does seem that the terms crisp and crumble can be interchangeable. In fact, a quick google search showed me that even a big famous television channel that takes about cooking a lot has an apple crumble recipe that contains oats. Interestingly, I had a more difficult time finding a crisp recipe not including oats. In fact, I had to search the phrase, "no-oat crisp recipe," to have any luck. So, while the terms crisp and crumble may be interchangeable, it seems to be one way. Crisps with oats are always called crisps, but crumbles (traditionally made without oats), may include oats. In a medium bowl, mix together all the topping ingredients with your fingers or a pastry cutter until small pebbly pieces of butter are distributed throughout the mixture. Sprinkle the entire mixture over the apples. Bake until the topping is golden and the fruit is bubbling and tender, about 1 hour and 15 min. for a large crisp and 1 hour for individual crisps. Cool slightly before serving. Notice anything missing from the ingredient list? Oats... My crisp isn't even a crisp! I have always called it a crisp, because that is how my friend titled the recipe when she emailed it to me years ago. I didn't look at my recipe until after I researched all the types of dessert. After my google search showed me that crisp recipes nearly always include oats, I was pretty confident mine included oats as well. I was pretty surprised when I opened my recipe (I haven't made it since last fall), and scanned the ingredient list and saw oats were missing! It appears I have two options, start calling my dessert by its real name, Apple CRUMBLE, or just add some oats. Actually, I searched my entire recipe cache and I did find an apple crisp recipe (as yet untried) that did have oats on the ingredient list. Perhaps I will bake both for an epic apple crumble v. apple crisp bake-off! What is your favorite fruit dessert to make in the fall? Just last night Chef Nicholas returned from his big trip to India. 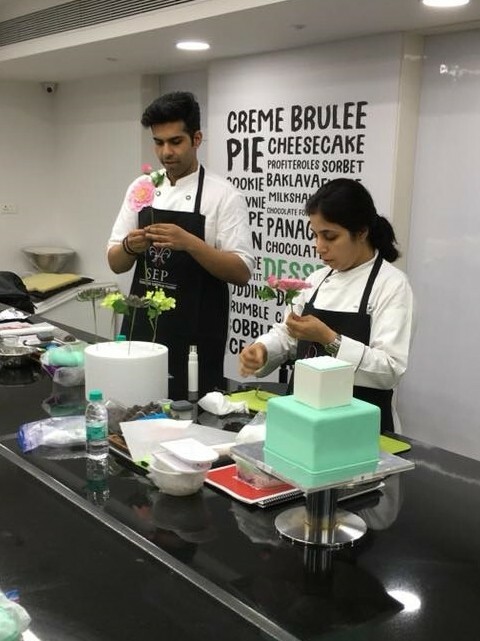 He taught several classes at the SEP, judged and gave demos at Cakeology, and attended the Cake Masters Top Ten Indian Cake Artists Awards! Chef Nicholas has now visited India a total of 12 times! He loves the warm people, the culture, and especially the food! Chef is known for his refined palate, and Indian food has always be at the top of his list. 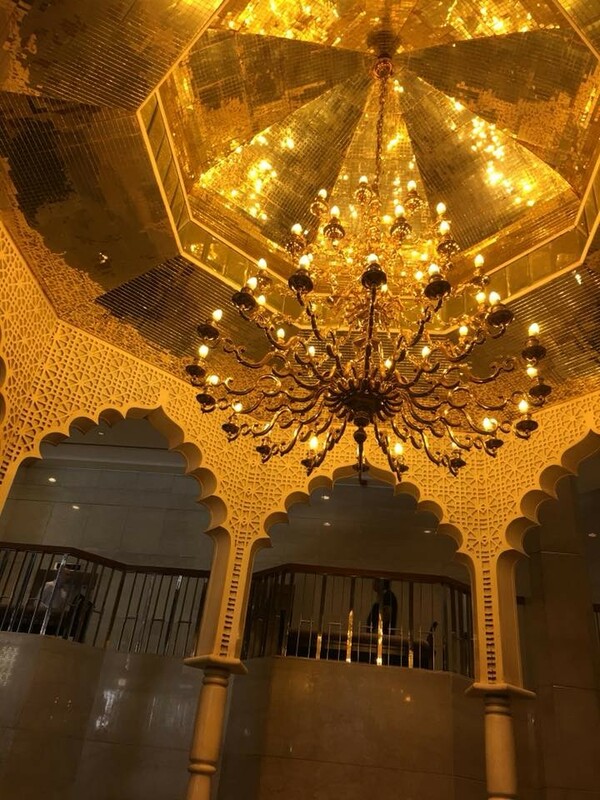 I normally reserve my photo blogs for ISAC Open House events, but Chef Nicholas' photos from his trip are so visually pleasing that I knew I had to share them all with you! Enjoy! 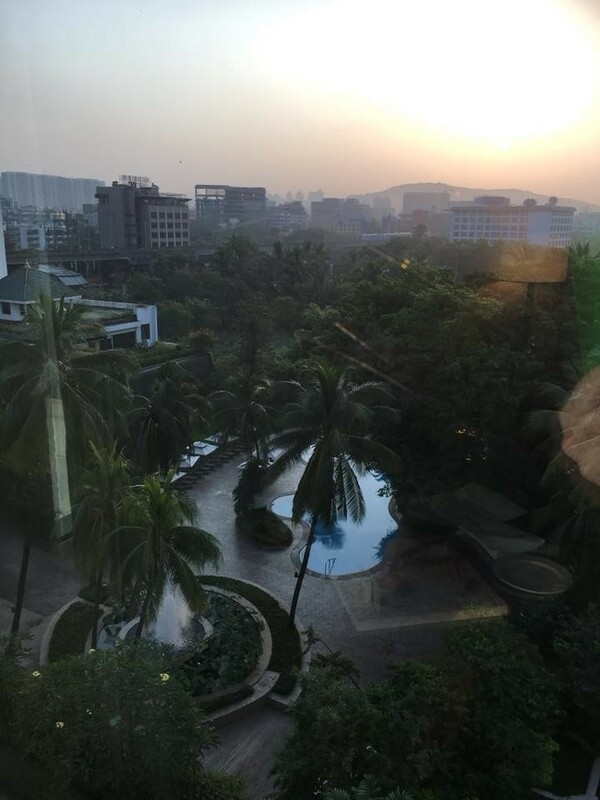 Chef Nicholas has a wonderful time on his visit to India. But, we sure are glad to have him back with us at ISAC! We are gearing up for the first ever Renshaw Academy Master class this Saturday. It's one adventure after another with Chef Nicholas Lodge! The title of this blog either made you roll your eyes or got your mouth watering. I happen to like pumpkin spice. I do, I admit it freely. However, I am not on the pumpkin spice crazy train. I like things that actually HAVE pumpkin spice in it. Not a bazillion random food goods that are really just pumpkin flavored. Since it is now October, and officially fall (although here in Atlanta today, we will have a high of 89 degree! ), I thought we could take a peek into the history of the infamous pumpkin spice blend! Can you name the spices that make up pumpkin spice? I'll give you a hint, there are five different spices... Cinnamon, ginger, nutmeg, allspice, and cloves. Thanks to the ever informative Food Timeline website, I found a reference to a "Pumpion Pie," recipe from the cookbook, The Accomplisht Cook. This cookbook was published in 1685, and while not exactly like pumpkin pie as we know it today, the recipe does call for cinnamon, nutmeg, and cloves (and also pepper! )- three out of the five spices we use today. Oh, and fun fact, the name pumpkin is derived from the French word pompion, which itself is derived from the Greek word pepon (it means melon!). 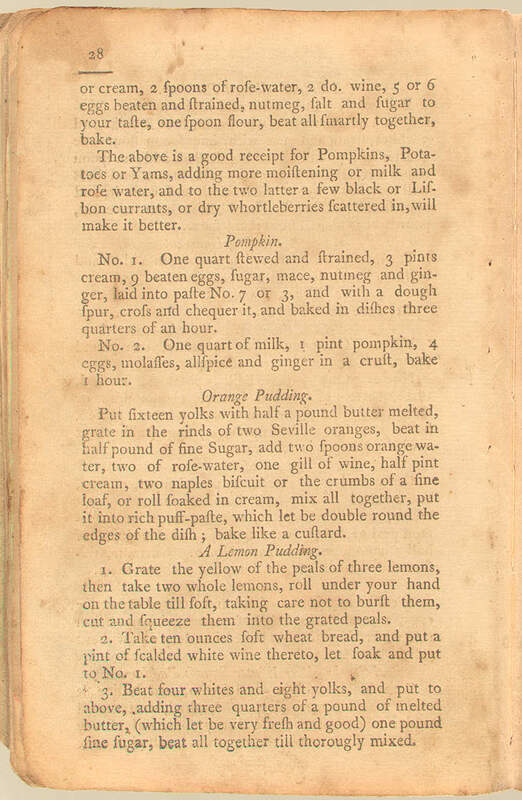 Another cookbook, American Cookery, from 1796 (and that I have referenced here on this blog before) has a recipe for Pompkin that includes ginger, allspice, nutmeg. No cinnamon or cloves, but getting closer! So, what REALLY unified these spices into the seasonal powerhouse that dominates our lives every autumn? 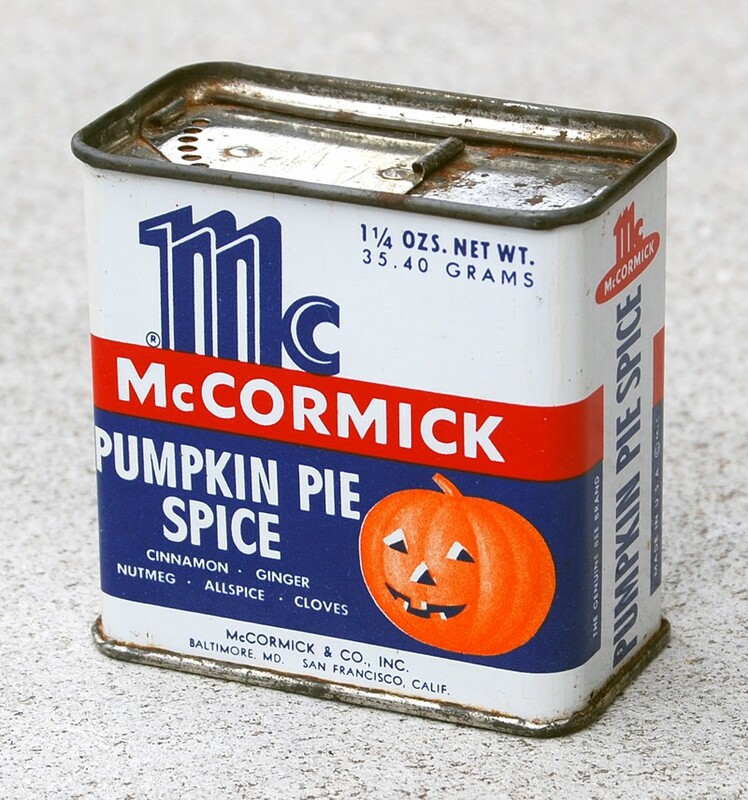 Well, in the 1950s, McCormick & Company started bundling common spices, and voila! When combining cinnamon, nutmeg, allspice, cloves, and ginger, they labeled it Pumpkin Pie Spice. Of course, these tasty spices complement a number of cool weather foods, and was never used exclusively for pumpkin pies. In 2003, Starbucks introduced the Pumpkin Spice Latte. It was not a new creation, many small coffeehouses had been roasted pumpkin spice coffee beans since the mid-1990s. Of course, Starbucks is no small coffeehouse- with the Pumpkin Spice Latte (affectionately known as the PSL) a star was born. Fun fact- the PSL, and in fact MOST pumpkin spice flavored foods DO NOT contain any pumpkin! Nope. The PSL original recipe did not contain pumpkin (it did contain an artificial coloring that contains low levels of a possible carcinogen- yuck!). It was not until 2015, a full 12 years after its introduction, that Starbucks added a small amount of pumpkin (oh, and they removed the artificial coloring- yay!). In 10 years, from 2003 through 2013, Starbucks sold over 200 million PSLs. Holy moly. But even more unbelievable is that PSLs generate at least $80,000,000 a year. AT LEAST 80 MILLION DOLLARS A YEAR. With seasonal revenues that high, it really shouldn't be surprising on how many food products have jumped on the pumpkin pie spice bandwagon. In fact, as of 2016, pumpkin spice consumables (candles, foods, yogurt, cereal, beer, vodka, beard oil... I could go on and on. And yes, that last list item said beard oil. Pumpkin Spice Beard Oil) generates roughly $500 million dollars a year. Whether you love or hate the PSL trend, there is no denying the comforting, loving, belly-warming feeling you get from a slice of pumpkin pie. And, if we are being honest, those feelings are thanks to the spices that go into the pie- pumpkin itself is very bland in flavor on its own. Those spices, nutmeg, ginger, cinnamon, allspice, and cloves are delicious together. They do make a good team. No matter if you LOVE all things pumpkin spice, or you are a tried and true traditionalist, pumpkin spice has been a part of our fall season for much longer than the current trend. So, share your favorite use of pumpkin spice! Mine? I have a pumpkin spice blondie recipe that I love- and for the record, yes it does contain actual pumpkins! I have to admit, the thought of those blondies has made my mouth water... time to break out my pumpkin spice! OH OH OH! How about I share the basic recipe for pumpkin spice so you can make your own?! Mix all ingredients together and store in an airtight container in a cool, dry, dark place. Easy peasy, right? Of course, any of these ingredient amounts can be adjusted to taste. Some recipes call for 4Tbs of cinnamon, in others the amounts of allspice and cloves is bumped up to 1 1/2 tsp each. Others may have 2tsp of nutmeg. Experiment and find the blend that works for you! Happy Fall y'all! "The Ultimate Sugar Show is the ultimate experience in all things sugar from SHOPPING to EATING, LEARNING, and COMPETING. 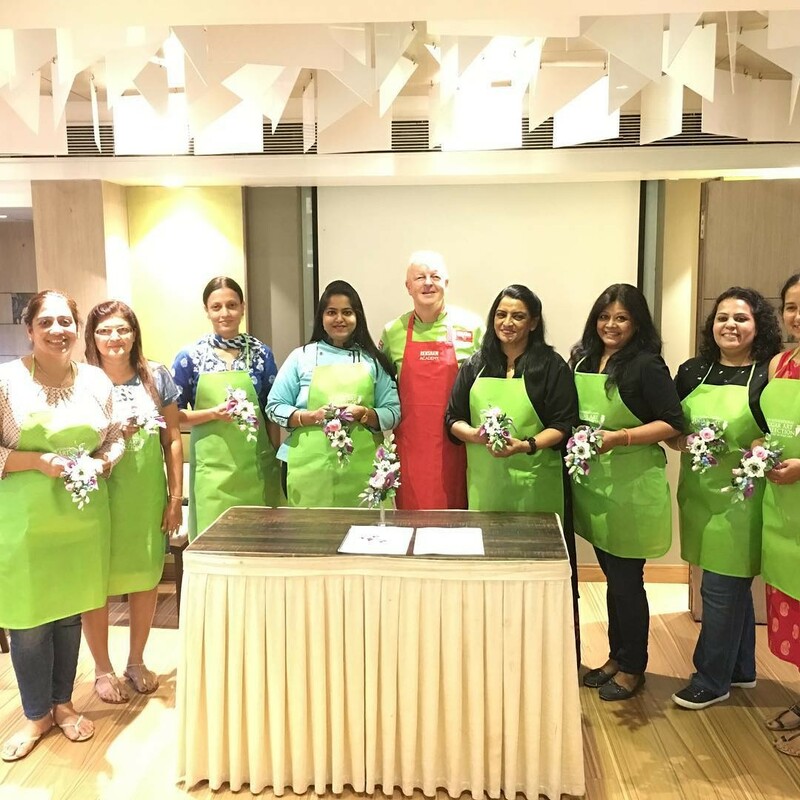 Sweet lovers, sugar enthusiasts, bakers, cakers and sugar artists are invited to indulge themselves in the world of sweets for a weekend full of fun, family friendly activities, eating, sugar art competitions and so much more." That just sounds like fun to me! I don't think ANYONE would disagree! The show is part business conference for Sweets Industry professionals, and part baking supply expo and cake competition. See I told you- FUN! 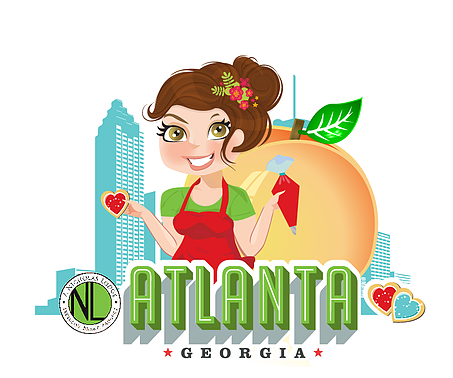 This event, known previously as SweetFest, has been held in Atlanta since 2014 as a business conference for sweet makers, has now opened their doors to the public AND incorporated the expo, vendors, and competition. 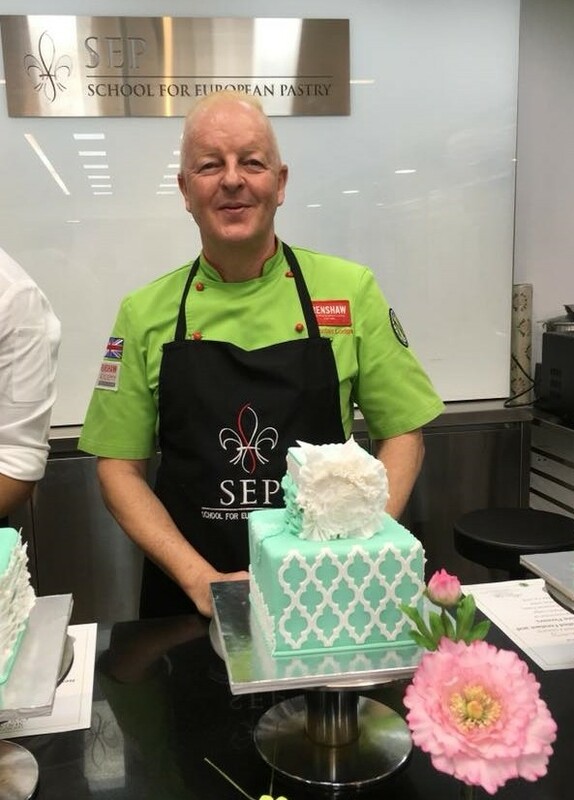 Chef Nicholas has been involved with SweetFest for several years, and is thrilled to see the new Ultimate Sugar Show combine the fun of a cake show with the educational aspect to help build businesses. 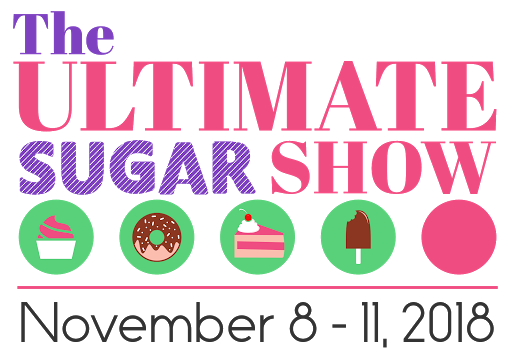 The Ultimate Sugar Show will feature live demos, on Saturday November 10th, and Sunday November 11th. This even includes a panel with junior chefs (ideal for those of you with kids who aspire to be the next Nicholas Lodge). There will hands on decorating for kids ages 5-16! My son loves being in the kitchen, so a real class where he gets to make and decorate would get him so excited! Now, never fear- there is loads to do for adults too! There are over 8 demos over the weekend, covering a variety of different topics. There are three regional competitions. Sugar Art will feature sugar artists of all ages competing in eight different categories, with an overarching theme of Southern Hollywood. The Great Southern Bake-off is the "tasting," competition, where local small business can vie for the title of best dessert in the south! This is also for a good cause- the proceeds from this competition will benefit the Aflac Cancer and Blood Disorders Center of Children's Healthcare of Atlanta. Delicious and thoughtful. Finally, the Sugar Hat Competition. I bet you have some questions about that don't you? This LIVE competition requires that cake artists create and assemble a southern style, WEARABLE hat. 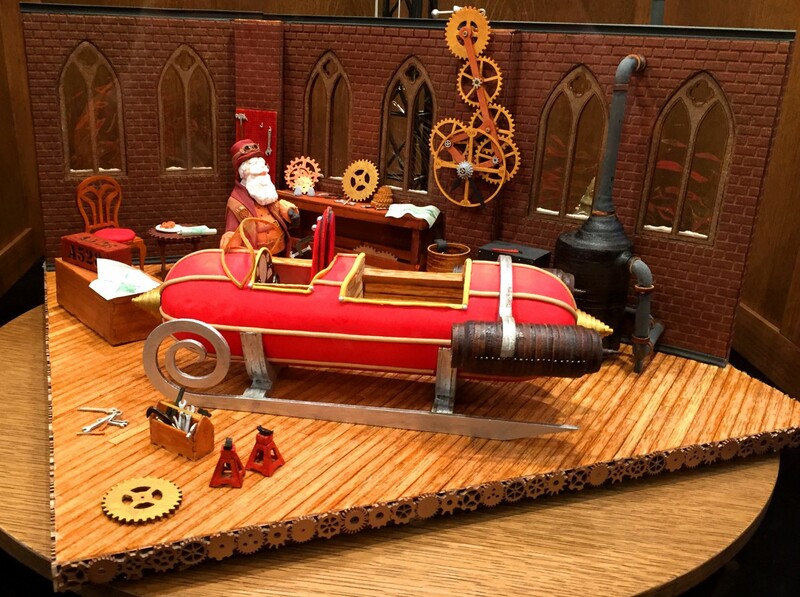 Made of completely edible materials. Yeah, that's going to be amazing to watch! Chef Nicholas will have the difficult task of being lead judge at this incredible event! Throughout the 2018 Sugar Art & Cake Show Season, the top Cake Designers in the country have competed for an opportunity to represent the United States in the 2019 World Cake Designers Championship in Milan, Italy. 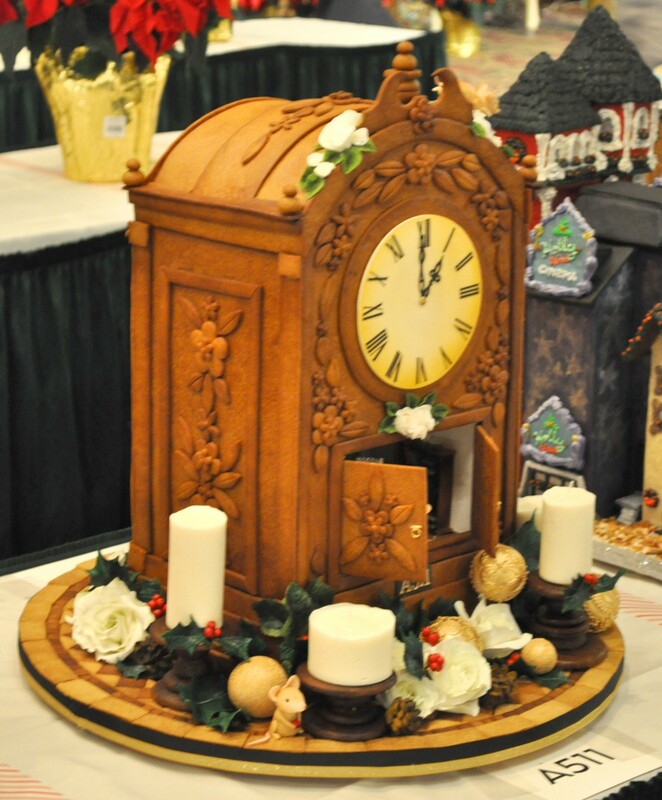 On November 11th, the Ultimate Sugar Show and the International Federation of Pastry Gelato & Chocolate will announce the 2018 FIPGC USA Division Cake Designer Champion! Make sure to join us live at the Cobb Galleria and witness this historical celebration! The three very worthy finalist are Benny Rivera, Liz Marek, and Aya Saravia. Who will be crowned?! Chef Nicholas and Sidney Galpern are members of the prestigious Federation of Pastry, Gelato & Chocolate! It's that time of year again. 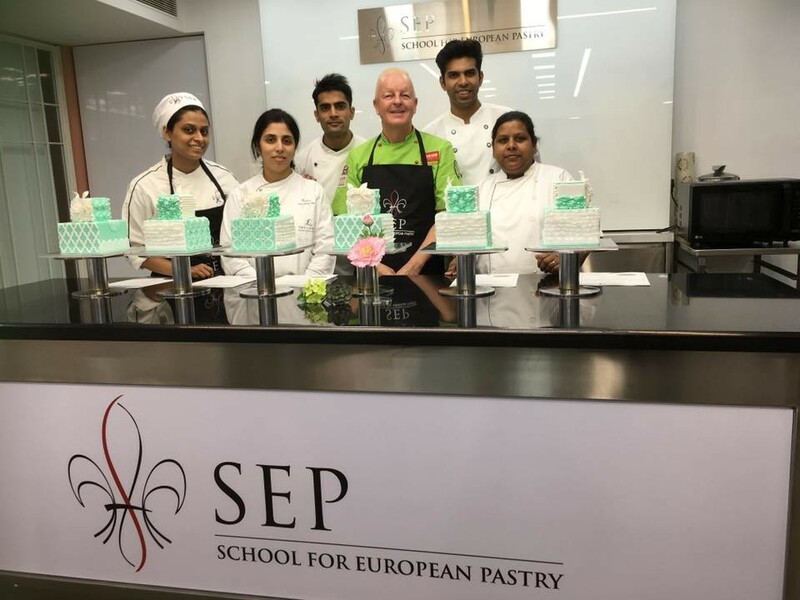 Those lucky students in Chicago who attend the French Pastry School's L'Art du Gâteau get Chef Nicholas' full attention for two weeks’ time. Chef Nicholas naturally teaches the Cake Decorating Techniques portion of the 16-week program. This is an intensive program. Imagine taking ALL of Chef Nicholas' classes in less than two weeks’ time, and you'll understand just how much these students learn in a short amount of time. Let's count that up. That is 182 hours of cake decorating instruction. That is seven and a half days. Think about that, they are learning fondant, buttercream, royal icing, modeling chocolate, gumpaste, piping, chocolate AND sugar decorations. Think of all the classes you have taken, think of the time it has taken you to learn ALL of the skills in those areas. Of course, under that general "gumpaste," it includes botanically correct flowers! Sugar decoration includes pastillage, pressed sugar, pulled sugar, and blown sugar. So again, look at everything these students are taking into their cake decorating brains in only 182 hours. The days are often very long, and start very early. If you follow Chef Nicholas on Facebook, you will have seen the class projects from his students. Usually the students create a set of cookies, a Sweet 16 cake, and a wedding cake. Chef Nicholas shares the vision boards and then the final cakes that the students create. When Chef Nicholas posts these photos on his Facebook page it is unbelievable how many people post with really supportive, admiringly, and complimentary words. My favorite part though is when the students themselves get to respond to the thoughtful comments that people have left in admiration for all the hard work put in. I'm not even a student and I find all the compliments so gratifying. What do you think? 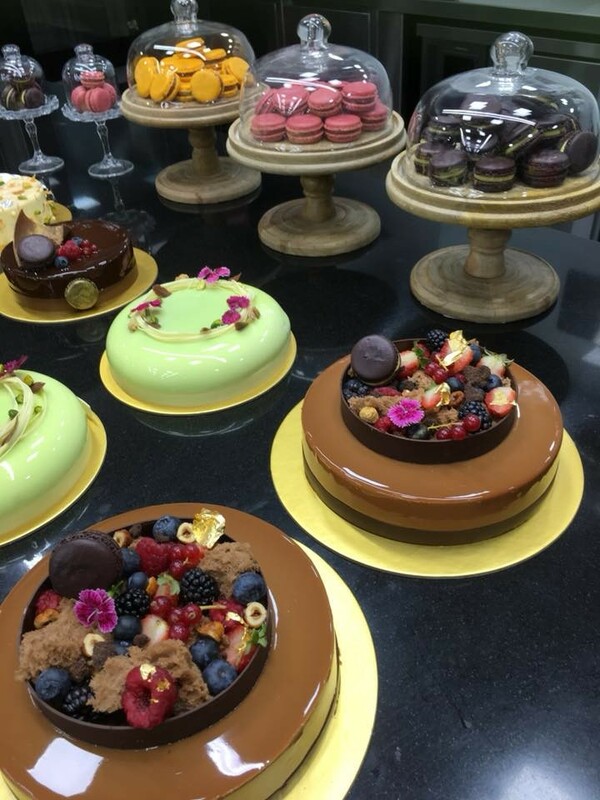 Would you love to be a student in L'Art du Gâteau at the French Pastry School? 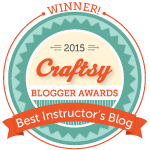 Or do you prefer taking classes with instructors at your leisure, or at cake and sugar art shows? No matter how to walk down your cake decorating career path, learning from Chef Nicholas is always worthwhile. I wish all of the current student's learning with Chef Nicholas the best of luck becoming amazing cake decorators and pastry chefs! 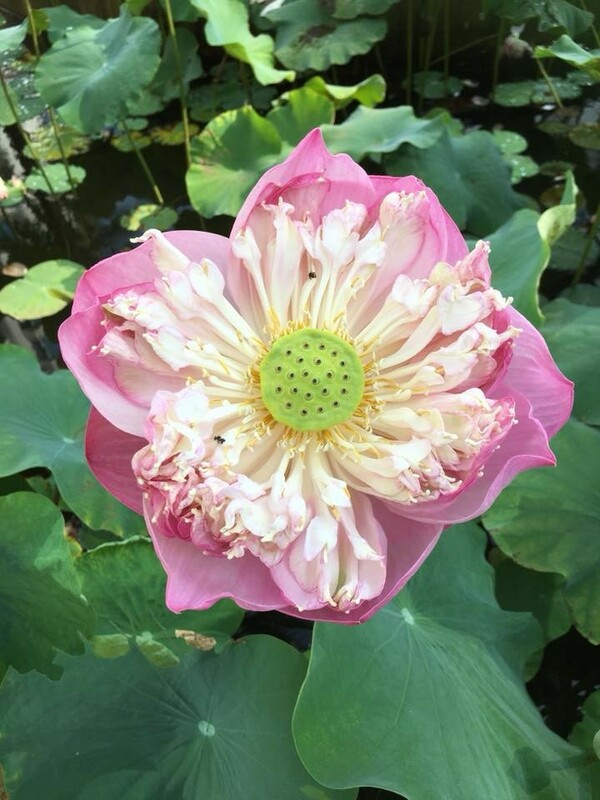 So, now that everyone is at home making all kinds of roses and flowers and ferns with their amazing Flower Pro toys... let's talk about what's happening at ISAC this fall! Last week was the launch of the Flower Pro line of molds and veiners, designed and created by Chef Nicholas Lodge and Katy Sue Designs. The product line contains 6 brand new products, and they were flying off the shelves like hot cakes! The product first launched in the UK, and Chef Nicholas was on HOCHANDA, and sold out of all of the products allotted for the viewers of the show! It was so exciting! 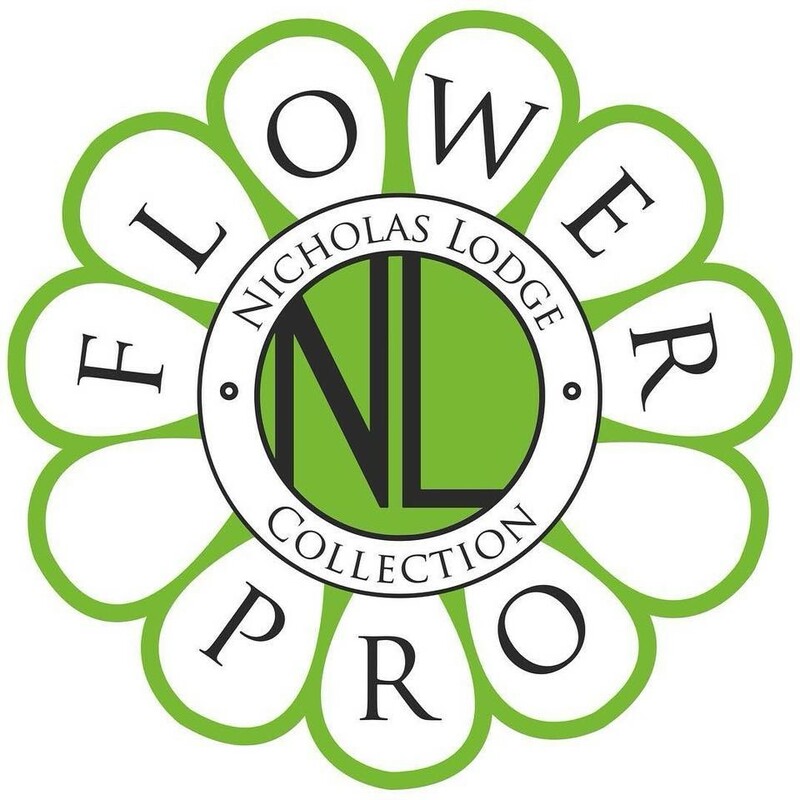 People were (justifiably) very worried they would be unable to secure their own new Flower Pro products! Luckily, when the products were launched one week ago, here in the USA, there were plenty of items to go around! TODAY IS THE DAY!!! HOORAY! Today is the day that Chef Nicholas Lodge and Katy Sue Designs launch their brand new, exclusive new line of flower molds! This is a huge deal you guys! Chef Nicholas and Katy Sue Designs have been working on this project for quite some time, and they are proud and excited to announce all five molds and veiners as well as the companion book! Chef Nicholas will be going live on Facebook twice today, at 8am EST and at 1pm EST. Both of these Facebook Live events will take place in the Facebook Flower Pro group. This is a closed group, and you have to request to join- please do so now so that you can watch. Don't worry if you are unable to watch either of those livecasts; you can always watch the playback at any time! But hey, let's check out the new Flower Pro line right here in this post! Unless you have been living under a rock for the last couple years, it's impossible to escape the allure of rose gold. This warm hue has become omnipresent in tech gadgets, makeup, clothing, jewelry, and even cakes. Rose gold even inspired the 2016 Pantone Color of the Year 2016- Rose Quartz! Makeup artists and fashion designers claim that the warm shimmery rose gold is universally flattering on all skin tones, one claimed it will add radiance to your skin! Um, yes please! Who couldn't look more radiant? This color is literally everywhere. I recently visited Walt Disney World Resort, and you can find rose gold shirts, sparkly backpacks, jewelry, and even rose gold Minnie Mouse ears! Ya know what? I am totally in love with rose gold. Growing up my grandmother had beautiful rose gold jewelry, and as a little girl I loved it because it looked pink! So seeing that rose gold have become so pervasive makes me giddy. While I love it, I was not the driving force behind this week's post. My illustrious co-conspirator, I mean co-worker, Molly mentioned that given its popularity, we should spotlight the color with a blog post. Done and done!